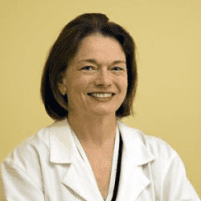 Dr. Patricia Kavanagh is a board-certified neurologist who serves the residents of Brooklyn Heights, Downtown Brooklyn, and broader Brooklyn, New York. The doctor specializes in the medical treatment of disorders of the brain, spinal cord, and nerves. Her special interest is in movement disorders such as Parkinson’s disease, tremor, and dystonia. She provides diagnosis and care for people with memory disorders including Alzheimer's disease. She treats migraines and other types of headaches; and other conditions such as balance problems, and numbness and tingling. Dr. Kavanagh graduated from the Albert Einstein College of Medicine. She completed her residency at The Neurological Institute of Columbia Presbyterian Medical Center and fellowship training at Beth Israel New York. The doctor is certified by the American Board of Psychiatry & Neurology; she is a member of the American Academy of Neurology, the Parkinson's Study Group and the Movement Disorders Society. Any patient with a neurological disorder or symptom is welcome to make an appointment. A visit to a doctor today can involve many layers of administration and providers; Dr. Kavanagh and her team work to give direct and personal care. The doctor works to provide her patients with the information and recommendations that will allow the best possible quality of life. If you have sudden neurological signs or symptoms, go to an emergency room. Supporting Dr. Kavanagh are Jody Day and Linda Lewis. Communication is streamlined and each patient is treated as an individual. You don’t have to give your information over and over to successive layers of administrators and practitioners. Care begins as soon as your first call to our office or online when you request an appointment. We are pleased to provide patients with secure, 24/7 access to Dr. Kavanagh's Online Patient Portal. This is your confidential access to our practice. We will email you instructions for opening the portal. For appointments, prescription authorizations, or billing questions, choose “administrative”. To ask the doctor a question about your condition, choose “clinical”. These questions are generally answered within one business day. If your question is urgent, proceed to an ER or urgent care facility. Who needs a pill organizer? "Your falls: Do you have a secret?" Half the people who fall don't tell anyone, thinking, "It's so embarrassing, it was a fluke, I wasn't paying attention, I was tired, I don't want them on my case." etc. We accept most major medical insurance plans. Here is a short-list of just some of the most popular plans we accept. Please contact our office and ask for Jody if you do not see your insurance provider listed.